Buying beautiful, high-quality new furniture can be a costly investment, but it doesn’t have to break the bank. 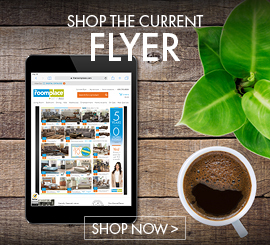 When you shop at The RoomPlace, budget and quality can go hand-in-hand. You don’t have to spend a bundle for good-quality furniture—in fact, you can get the high-end look of your dreams even if you’re on a tight budget. Let’s take a peek at a few of our favorite expensive-looking yet affordable looks, and the many ways you can save on top-quality furniture at The RoomPlace. Mars Living Room Set: The Mars White 3 Pc. Living Room offers the epitome of luxury and class at an affordable price point. An all-white design with sleek, sumptuous upholstery instantly gives your living area an elegant and distinctive look. Somerset Queen Bedroom Set: Refined, rich and sophisticated, the Somerset 5 Pc. Queen Bedroom Set features a contemporary dark finish with satin nickel hardware. As elegant as it is inexpensive, this set brings a high-end look to any bedroom. Camilla Dining Room Set: The Camila 5 Pc. Dining Room set epitomizes elegance. A double pedestal base, silver faux leather chairs and nailhead accents give this set a refined look at a reasonable price. Clearance Deals: If you look around, you’re bound to find unbeatable clearance savings on furniture that’s stylish, trendy and top-quality. 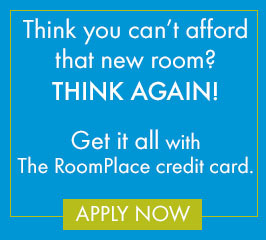 From our best mattress sales to discount dining room furniture, The RoomPlace offers value and quality alike. Browse our clearance section for hundreds of discounts every day, or check out the weekly flyer for the latest deals to find quality furniture for less. Seasonal Sales: Waiting for holiday sales and other seasonal offers is a savvy way to shop for new furniture. In addition to sales around Black Friday, you’ll also find plenty of deals and closeouts in the summer, between the 4th of July and Labor Day. Online Specials: Online furniture shopping comes with a variety of perks, including the chance to enjoy online-only deals on discount furniture. Choose from a variety of specials, then sit back and relax while they’re delivered right to your door. Fast, free shipping is the icing on the cake. Closeouts: With new inventory coming in, we have to make room! You can catch great deals on elegant furniture and high-end home accents before they go out of stock, thanks to last-chance closeout discounts. Special Financing: The RoomPlace offers a variety of special financing packages to help you make updates to your home when you’re on a budget. Find out more and explore your options here.